Realizing that your teen or young adult child needs help for his or her substance use can be scary and overwhelming, and chances are you have no idea where to begin. There is no one-size-fits-all answer so it can take a fair amount of research to figure out what type of help your child needs, and how to get it. No matter where you are emotionally, mentally or physically, we’re here to help. Download Your Child’s Treatment Roadmap, our concise guide to the key steps in making the right choices for your child and family, and a helpful companion to the information below. For most people, “treatment” for substance use conjures images of detox or a residential rehab facility. In reality, detox (detoxification) is not treatment, and a residential program is just one of a variety of options. Treatment can take place in different forms, settings and for different lengths of time. The approach to treating addiction is generally similar regardless of substance. However, treatment is typically individualized to some degree based on the characteristics of the patient — programs usually address an individual’s physical, psychological, emotional and social issues in addition to his or her alcohol or drug use — as well as the type of substance itself, as in the case of medication-assisted treatment for opioids. Unfortunately, when it comes to addiction and substance use disorders, just as with other health conditions, there are no guarantees for the perfect treatment, and it can be difficult to access quality care. Addiction is a manageable but chronic disease, just like diabetes or asthma. Because it is a chronic, relapsing disease, treatment should not be approached as a way to “cure” your loved one. It is a first step in helping your child learn how to manage his or her addiction. Getting the right treatment for your child is a process, and navigating the current systems in place requires due diligence and perseverance. There are services that may offer to find a treatment program for you at no charge; be careful as there are unscrupulous people out there who will pretend to have your best interests at heart, but are more interested in their own financial benefit (see our note on referral services). We are a nonprofit, and our parent services are made available for the sole purpose of helping you find the best solutions for your child and your family. One of the most important things you can do to help your child is to educate yourself about substance use disorders, what quality treatment consists of, and the types of programs available. Using the various resources offered here on this site is a great start. In order to determine the severity of the issue and an appropriate level of care, you may wish to have a substance use counselor take an assessment. It should include a thorough look at the extent of your child’s drug and alcohol use, your child’s mental and physical health as well as personal, medical and family history. Talk to the people around you. You may feel like keeping your child’s drug or alcohol problem a secret, but you shouldn’t. Addiction is a chronic disease, not a moral failing on your part or your child’s part. The people you’re hiding from may be the same people who could connect you to needed help, offer support or a shoulder to cry on. There are many types of treatment services available, in a variety of settings, including outpatient, inpatient, and residential. And none of it is one-size-fits-all. Before you make any decisions, know the options. 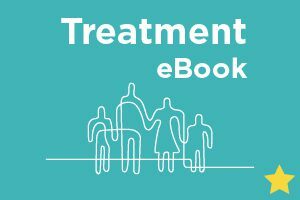 Understand the types of treatment available, learn which questions to ask providers and much, much more within our Treatment eBook — designed to serve as a comprehensive guide and resource throughout the process of getting help for your child. Family involvement is a critical element of adolescent and young adult treatment, making location an important factor. If you live in an area that doesn’t have the level of care your child needs, and you choose remote care, discuss with the program how your family will be involved (e.g. phone or video calls, emails, family visits, etc.). You can’t be sure if a program is the best fit for your child unless you get to talk to the people there and ask the right questions. It will be time-consuming — but worth it. Unfortunately, the current reality is that treatment programs can be shockingly expensive. But there are options available that can help your family handle the financial burden of paying for needed treatment. We know it is not easy, but the more information you have the better able you will be to make good decisions for your child and family. There are several options when it comes to paying for substance abuse treatment for your child. One of the most common is through private health insurance, but additional options to explore include Medicaid, Veterans Administration benefits (if you’re a military family), Employee Assistance Programs (EAP), student health services, clinical trials, financial aid, payment plans and a sliding fee scale. Under the Affordable Care Act, many health insurance plans are required to include mental health and substance use disorder coverage; however coverage varies state by state and plan by plan. Earlier legislation also requires that those plans that include mental health coverage provide the same level of coverage as they do for other physical illnesses. It’s important to understand what your insurance will cover. For example, your plan may say that it covers 30 days of residential treatment, but they may decline allowing you to use this benefit if they believe an outpatient program is sufficient. In such instances you can ask for an emergency appeal, which in most cases is done within 24 hours. It may also help to investigate whether they will cover an outpatient program with a boarding component. In the treatment world, this is often referred to as the “Florida Model.” These are facilities that will provide treatment five days a week with activities scheduled for the weekend, coupled with boarding. And of course there’s the issue of how your coverage may be structured. Do you have a deductible (an amount you have to pay before insurance kicks in)? What is your co-pay (usually expressed as a percentage of covered costs)? Is coverage in-network only? You don’t want to be blindsided by hidden or unexpected costs. Understandably, you may have concerns about actually getting your child to begin treatment. Many good treatment programs know how to engage teens and young adults in treatment and to help them recognize the importance of it. You can always seek help from the program you have selected. This is a good opportunity to talk to your child about your concerns for his or her life, health, and safety, and about how entering treatment may be a little scary but it’s a step toward a healthier life. Depending on the state you live in, your child may have to agree to treatment. Some programs won’t accept children if they don’t agree to attend, even if they are under 18. You may have legal options available to you but it depends on the specific laws in your state. MOST PROGRAMS REQUIRE A PRE-SCREENING. You or your child may be interviewed over the phone, but that doesn’t mean your child will (or should) end up in that program. If it isn’t a good fit, the provider should refer you to another program that can better meet your child’s needs. You may feel overwhelmed by it, but it is important that you read the paperwork carefully and not just sign at the dotted line. Be sure to ask your son or daughter to sign a release allowing you to speak with personnel at the treatment facility. Absent such consent, the facility becomes bound by HIPPA protocol, and they’ll be unable to share information with you. THERE WILL BE A FULL INTAKE PROCESS. This should include questions about your child’s drug use, your family, your child’s medical history, educational history and mental health. YOUR CHILD AND HIS OR HER BELONGINGS MAY BE SEARCHED. It is not uncommon for patients to try to sneak drugs or alcohol into a residential treatment center. So be aware that they may take your son or daughter into a private room and search clothes and belongings. For some this can feel like an invasion of privacy, but it is necessary and important to ensure a substance-free environment. AFTERCARE SHOULD BE A PART OF THE TREATMENT PLAN. Treatment is not over after discharge; rather that is when much of the hard work is really just beginning. Families need a successful discharge plan that can be realistically implemented. Explore the topic of Continuing Care to learn more. In some areas there are extensive waitlists for treatment services. We understand the frustration and added challenges this creates. If you find yourself in this situation, consider calling your state’s Department of Human Services and your state’s Department of Mental Health & Addiction Services (or equivalent agencies) to see if they can direct you to available treatment programs. Recovery centers, Angel Programs connected to law enforcement and word-of-mouth at 12-step and support group meetings are also great resources for learning where or how to get treatment more quickly. In some cases, simply being persistent and calling a facility on a daily basis can help your loved one move up on the list. Although you are probably not thinking about yourself right now, one of the smartest things you can do for your child in trouble and your family is to take care of yourself so that you remain strong, healthy, and sane. Many parents with a sick child forget about their own emotional and physical health. But remember, just as your child needs to get healthy and learn life without drugs and alcohol, you and your family also need to get healthy and stay healthy. Seeking professional counseling for yourself is just as important as getting help for your addicted child. While your child is battling an alcohol or other drug problem, you’re also likely struggling with some overwhelming feelings of fear, anger, resentment, guilt or shame, among others. Physical symptoms like migraine headaches, insomnia and upset stomach or indigestion are not uncommon. Embracing the notion of self-care at a time when it feels like your world is crumbling will be more of challenge for some than for others. But the need for self-care, and its benefits to not just yourself, but your entire family, can’t be overlooked or overstated. Learn more about taking care of your own needs and why self-care isn’t just for yourself. If you’ve searched online for help or treatment for your loved one, you’ve likely encountered what are advertised as free treatment referral services. These services are frequently affiliated with private, for-profit treatment providers. Those providers may indeed offer reputable treatment, but it’s important to be well informed before engaging with a service that could be putting someone else’s bottom line above the best interests of your family. The use of medicine like Vivitrol, Suboxone or Methadone is an evidence-based approach to overcoming addiction and maintaining long-term recovery.